The design goal of EXO66 is to tightly package the SPL of conventional 10” 2-way loudspeaker in a cabinet compact enough to be easily transported in mobile and portable sound reinforcement applications and to be discreet and elegant in any installation project. 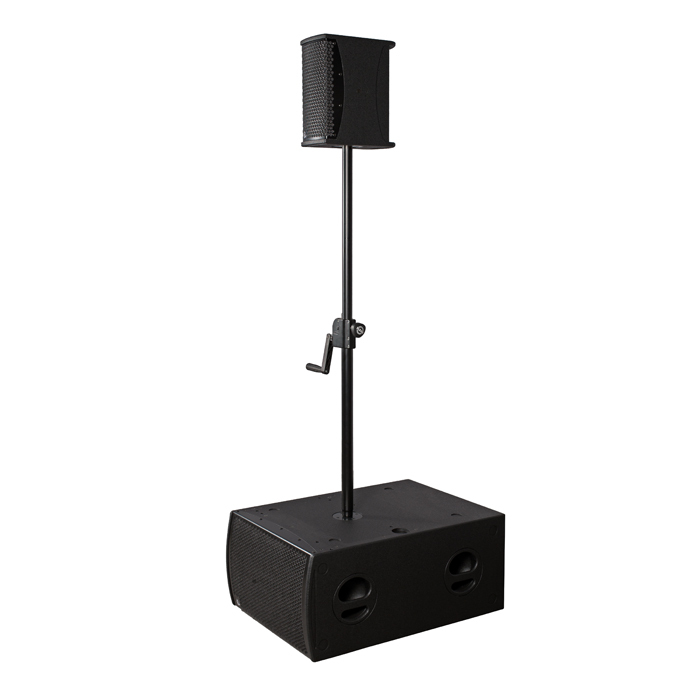 EXO66 is a compact multipurpose passive mini monitor conceived for those applications in which high power-density with superior quality audio reproduction and optimum, unobtrusive integration are required. The design goal of EXO66 is to tightly package the SPL of standard 10” in a cabinet compact enough to be easily transported in mobile and portable sound reinforcement applications and to be discreet and elegant in any installation project (RAL colors available on demand), while using the same materials and finish that are found in the Touring Sound larger loudspeaker systems of the IDEA product portfolio. EXO66 features a 6.5” Coaxial and a high performance 6.5” woofer, in a very tight, compact rear-ported cabinet. This configuration delivers pristine audio clarity at any level with minimum distortion, making the EXO66 a pleasure to listen to, due to the excellent definition of the HF section and the natural fast and controlled transient response of the custom 6.5” IDEA LF woofers, which are some of the most powerful transducers of its kind available in the market today. Together with BASSO24t or BASSO18, EXO66 will turn into a really versatile, powerful multipurpose combo for a variety of applications. Entertainers, musicians and DJs bene t from the advantages of such power-density, as much as AV rental companies, just like premium installations and AV/Multimedia facilities nd an excellent choice for superior audio reproduction in the tiny, re ned and powerful EXO66.